Caption : Kochi, 16/05/10. 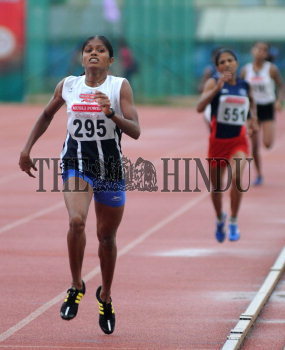 Kerala's Tintu Luka, who broke the meet mark in the women's 800m at the 50th National Open athletics championship in Kochi on May 16, 2010. Photo:H.vibhu.